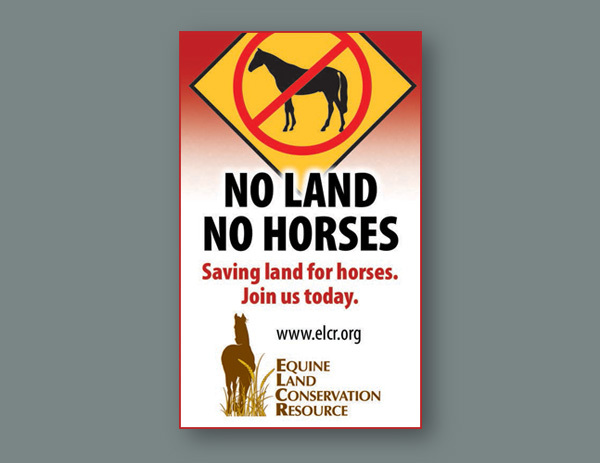 The Equine Land Conservation Resource (ELCR) works with horse enthusiasts to ensure that horses, stabling and horse-related activities are available near cities and the suburbs – today and in the future. 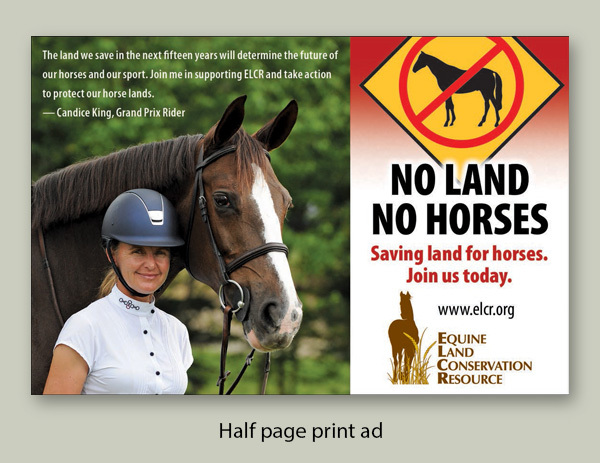 They contacted the Arion Group for help with an ad campaign to promote their “No Horses No Land” fundraising efforts. Their goal was to raise funds to develop a Planning and Zoning Toolkit. This kit would be distributed to horsemen and women around the nation to assist them in conserving the lands they love. The Arion Group collaborated with ELCR to develop an eye-catching graphic for use in digital and print ads. A diamond-shaped “no horses” traffic sign was used to catch readers’ attention. No horse enthusiast would want to see this sign on the lands where they currently ride. 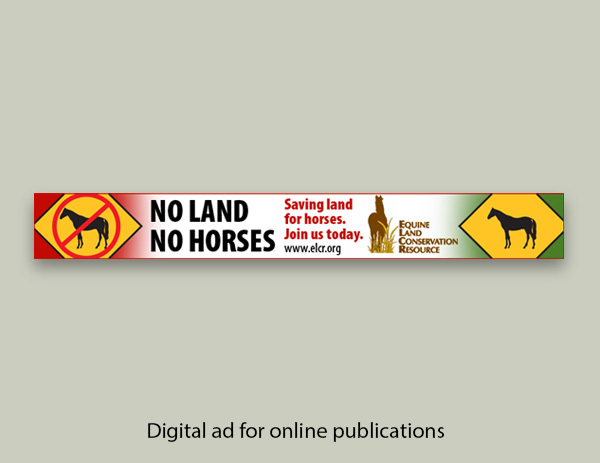 The stark image reminds readers what could happen if plans for horse activities aren’t incorporated into land development. 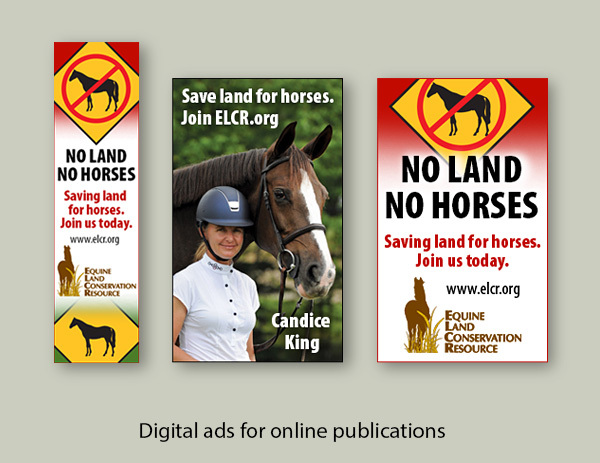 An image of ELCR’s spokeswoman, Grand Prix Rider Candice King, was incorporated into the larger ads along with her testimonial to lend credibility. To see the campaign, advance the slide show below. If you’re interested in learning more about ELCR’s efforts, please watch their video on HorseChannel.com. To see more ads developed for the campaign, please see the slide show below. For help with your next ad campaign, contact the Arion Group today.